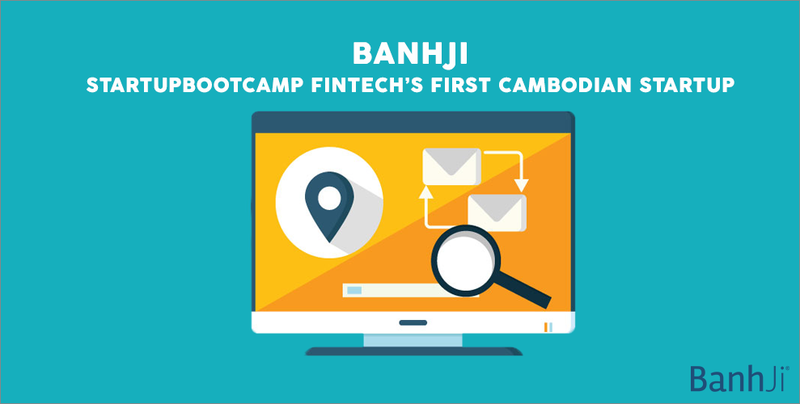 As the first Cambodian startup to enter Startupbootcamp Fintech, BanhJi was one of the 10 international startups selected to join the program in Singapore. BanhJi, a free and localised industry specific accounting platform, is currently going through the three-month accelerator program and has received mentorship from seasoned entrepreneurs. The startup was built for SMEs and NGOs’ collaborative financial management. We find out more about BanhJi and their experience at Startupbootcamp with Chakiriroth Sim, founder of the startup. This interview has been edited for length, clarity and flow. Can you introduce us to your team and tell us the specific roles you have? I am the founder of BanhJi, and I focus on the UI, UX, fundraising and business development of the company. Prak Sokdararith and Thath Dawine are part of our development team. They focus on product development and related technology. We are also supported by PCG, a professional finance consulting firm in the development of BanhJi. BanhJi is a 100% free and localized industry specific accounting platform, built with passion for SMEs and NGOs’ collaborative financial management. We believe that accounting software should be 100% free, simple but powerful, and localised in terms of language and regulatory requirements. Building confidence – helping SMEs gain more confidence from financial institutions, debt financing providers and investors. How would you describe your experience at Startupbootcamp? It has been amazing. The Startupbootcamp team has been outstanding in supporting us. Just two weeks into the program, I have seen a lot of improvement in the business, especially on the business model and product design. The quality of mentors and exposure to potentially game-changing partners are unbelievable. What is one of the biggest takeaways from Startupbootcamp? This is a hard one to answer, there are so many takeaways. I think one of the highlights so far is the design sprint. It allowed us to look at the business from an angle we never thought of before. In addition, lots of important ideas emerged during the session, which is crucial for BanhJi’s competitive advantage. Did you expect BanhJi to come so far? It is always a plan to go beyond Cambodia one day, but I never thought that I could get the opportunities this fast. Last year we won the Startup Nation Award – The Pitch 2015 Cambodia and was supposed to represent the country in the Global Startup Nation competition in Mexico, but due to unforeseen circumstances I was not able to go. It might be a different story if that happened. What do you think led BanhJi to where it is today? It has been three painful years of product development, continuous reshaping of business models, and rationalizing our footprint. It is our strong belief in the business model that kept us moving to where we are now. What do you hope to achieve with BanhJi in the future? We will launch our product in Cambodia at the end of May. From there, with the support of Startupbootcamp and its partners, we will make BanhJi the most preferred accounting solution for ASEAN SMEs. Lastly, do you have any words of advice or inspiration for other Cambodian entrepreneurs? There is a huge white space for Fintech in Cambodia and the region. The opportunities are huge. So dream regional and start local.